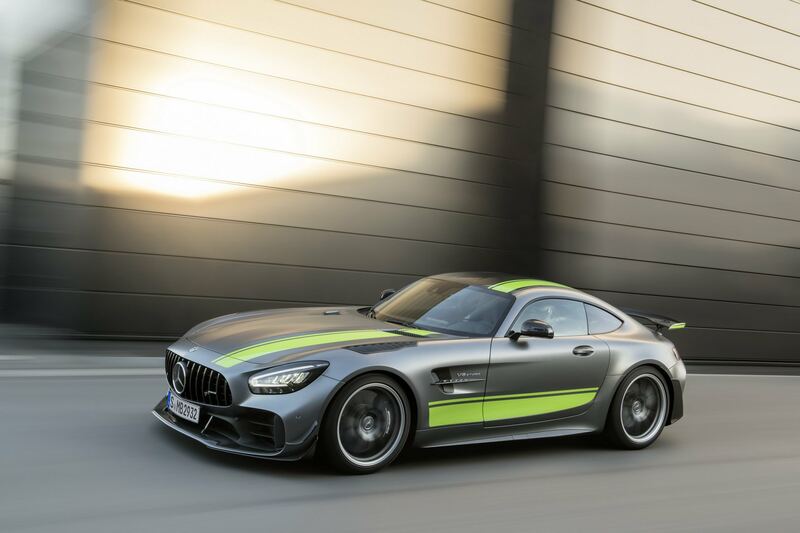 The Mercedes-AMG GT R Pro is a limited edition model developed as an extension of the brand’s GT3 / GT4 racing technology, for the racetrack. 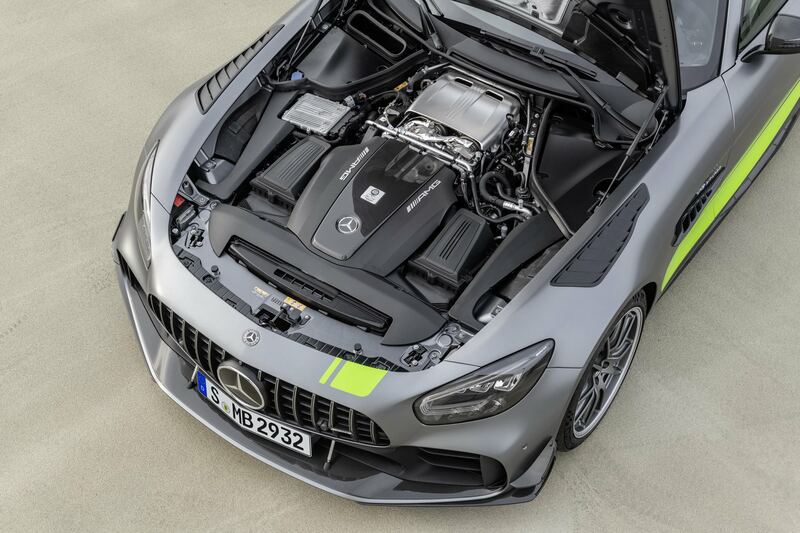 To start things off, it sports a modified 4.0-liter twin-turbocharged V8 engine producing 577 horsepower and 516 pound-feet of torque, enabling it to hit 60 mph in 3.5 seconds, while topping out at 198 mph. Suspension wise, there’s a mechanically adjustable coil-over setup, front carbon fiber torsion bar, uniball spherical bearings, ceramic composite brakes, and a carbon fiber rear stiffening structure. Read more to see its Nurburgring run, and for additional pictures as well as information. 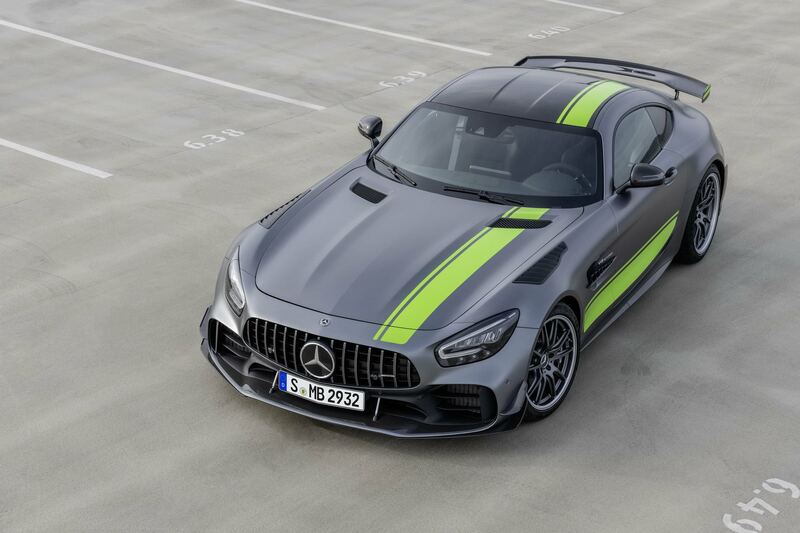 The exterior features a gray wrap with green racing stripes, and an aggressive aerodynamic body package that consists of a carbon fiber front apron / splitter, a large rear spoiler, front-fender air slots, modified rear wheel arch elements for improved air flow, and ultra lightweight AMG Performance five-spoke forged wheels offered exclusively in titanium grey. “Up front, there is a new apron that incorporates carbon fiber canards to improve stability at higher speeds. 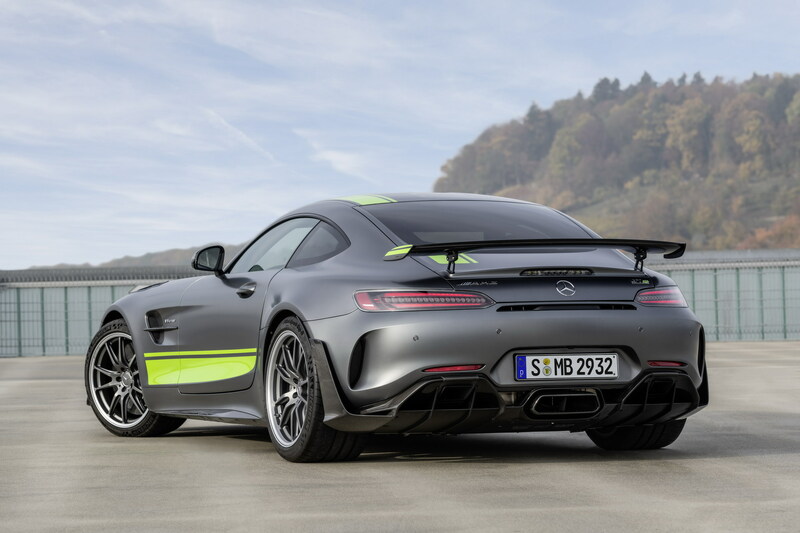 Mercedes-AMG has also developed air slots in the front fenders to reduce front-axle lift while at the rear, there is a small carbon fiber aero element on each wheel arch,” reports Car Scoops.